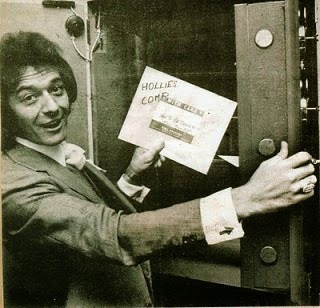 Broken Hearted Toy: Happy Birthday, Allan Clarke! He also composed several great songs, as part of the GRALTO songwriting team of Graham Nash, Allan Clarke, and Tony Hicks. In his recent autobiography, Wild Tales, Graham Nash had many words of praise for Clarke, whom he first met when the two of them were classmates in school. In addition to his tenure with The Hollies, Clarke also scored an FM radio hit by singing lead on “Breakdown” from The Alan Parsons Project’s I Robot album. Clarke discovered Bruce Springsteen before many people had heard of The Boss, and performed Springsteen material on his solo releases. According to a recent post from a fan on the Allan Clarke Facebook page, Clarke met Springsteen in New York back in the 1970s. Springsteen was in the audience when Clarke reunited with Nash for a performance at The Rock And Roll Hall Of Fame Ceremony. A new compilation honoring Allan Clarke’s solo efforts, titled Sideshow: Solo Recordings 1973 –1976, is now available as an import on Amazon. In honor of Allan Clarke’s birthday, here’s a clip of him singing “Long Cool Woman In A Black Dress.” Note to the organizers of Fest For Beatles Fans: Can you please invite this gentleman when you come to Chicago in August? He can’t belt out those vocals like he used to, but it would be fascinating to see him interviewed by Terri Hemmert or Martin Lewis.